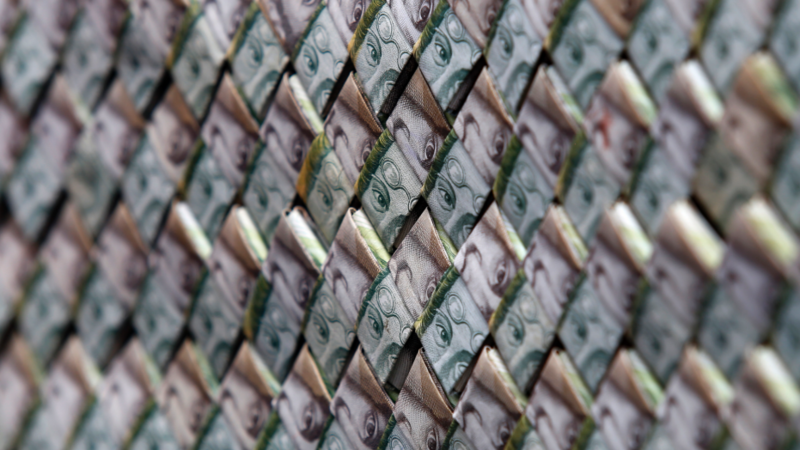 CUCUTA, Colombia – A family of Venezuelan immigrants to Colombia are repurposing their worthless bolivars into origami-made paper wallets, belts and even purses as the currency plunges further in value amid four-digit inflation. Each collector item produced by Richard Segovia fetches between $10 and $15 — a huge markup from the pennies that bolivars retrieve on Venezuela’s black market. Segovia, 24, arrived two months ago to the Colombian border city of Cucuta with his wife and a cousin fleeing a dead-end job at a warehouse in Venezuela, where he made the equivalent of just $2.50 a month. He came up with the idea to make artwork one night when he and his cousin were back in Caracas staring at a pile of cash. “We had a lot of cash but nothing to buy, because in Venezuela your money is worth nothing,” he said. So, he started folding and creasing Venezuela’s colorful bills into trinkets and then larger creations like purses and bags. Each item consists of around 800 to 1,000 mostly 50 and 100-bolivar notes — less than 50 U.S. cents. He has found a sympathetic audience among Colombians looking to extend a helpful hand to the hundreds of thousands of immigrants who’ve flooded across the border in recent months. On a busy day, Segovia can sell as many as 20 items, and a bulk order recently came in from a woman who runs a boutique in Bogota who heard about his creations on local TV. With his earnings, he manages to send around $15 to his family in Caracas whenever he can. “It’s not a lot of money, but it’s enough to have breakfast,” he said. While sales are brisk, he’s hardly living high on the hog. He and his wife, who is five months pregnant, sleep at a flophouse provided for free by a local transportation company. They set up shop daily on a busy sidewalk near the bus station, seemingly unconcerned by the prospect of a thief snatching away the piles of money that sit like bricks on their plastic table. “I’m not going to run out of raw material,” he jokes.